With the value of wine riding on a delicate balance of aroma and flavor, the impact of winegrapes' exposure to smoke from a wildfire could have significant economic consequences. 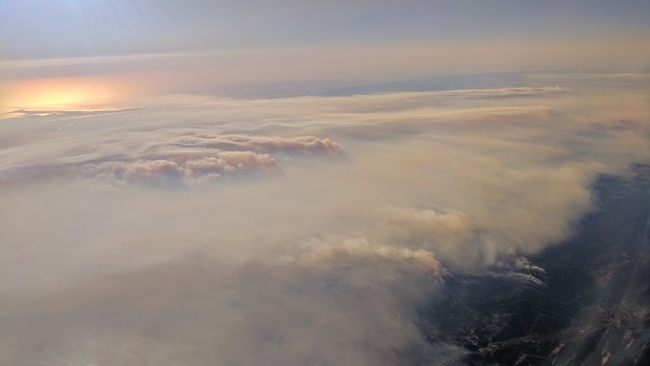 Last fall's Northern California wildfires sent smoke wafting over an experimental vineyard in Napa Valley, giving scientists the opportunity to study the interplay of smoke and wine quality, reported Jeff Quackenbush in the North Bay Business Journal. The fires near the UC Davis vineyard provided the perfect experimental platform. Olberholster and her research team sprang into action to start a research project on the fly. Remaining grapes on smoke-exposed vines were picked, loads of commercially grown grapes deemed too questionable for commercial wineries were accepted. Over the past five months, small batches of wine were made from the grapes. The scientists are now looking for a process that will remove the smoky compounds, as little as possible of anything else.